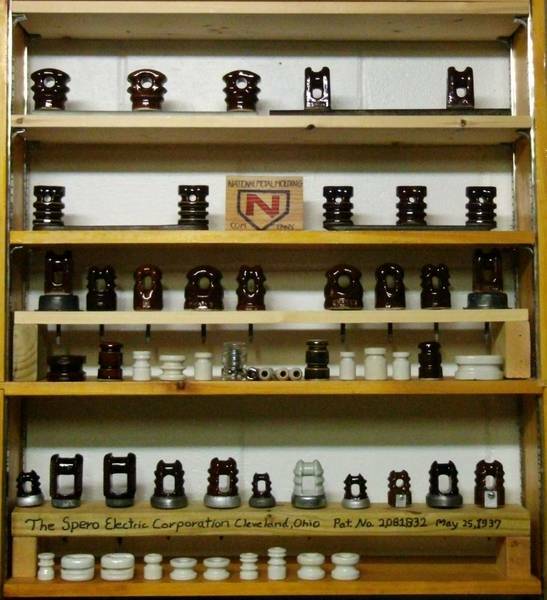 This is a picture of National Metal molding Co. Lags on Brackets plus Spero Electric Mfg. Co. Lags. The fence insulators are Wisconsin Porcelain Co. I'm slowly looking for the all the styles made by them.